It seems that every year I finish(or start lol) some Christmas sewing for myself. 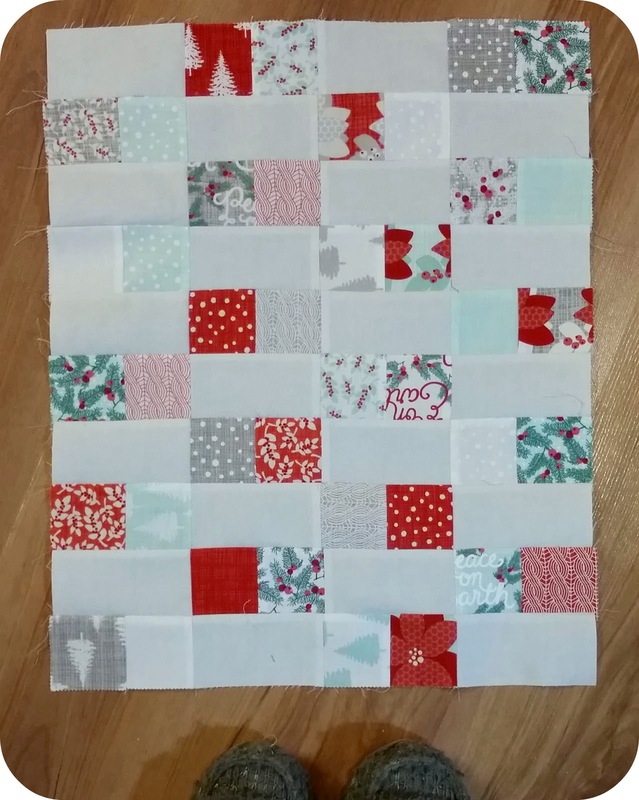 Last Christmas(2013) I picked up some charm squares which I rediscovered earlier in the fall. When I discovered that I had 2 packs of charm squares, I knew exactly what I had to make. I really wanted a dark background. Many fabrics auditioned and this green won. I'm still not sold on it but it's growing on me. I also splurged on a mini charm pack and went super simple. 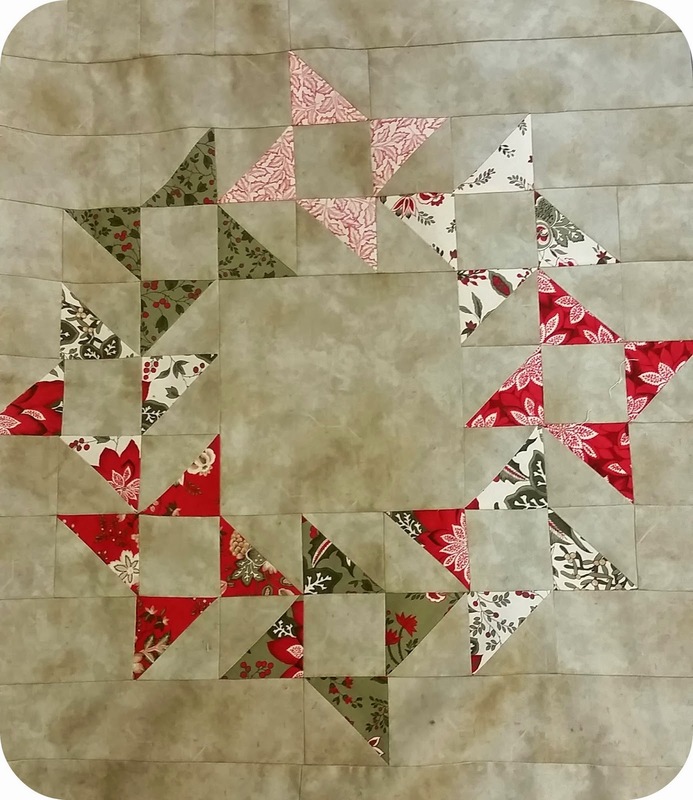 I find that after a large quilt, something quick and simple is the way to go. 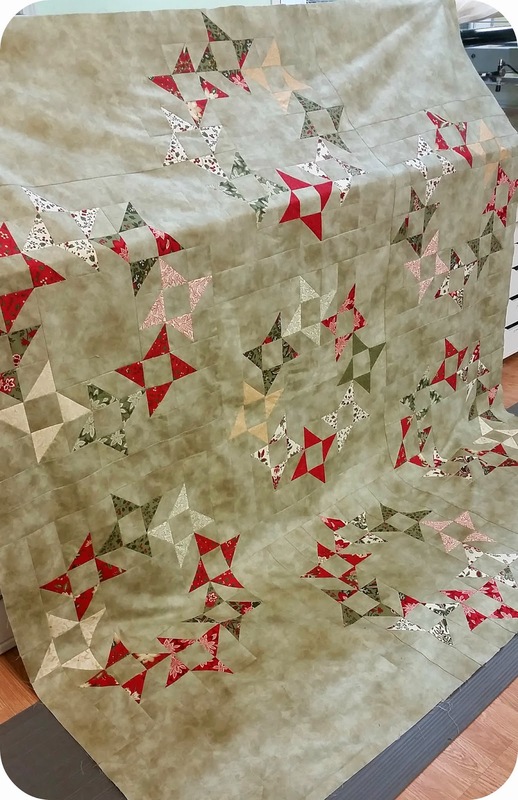 LOVE your Christmas top, and I can't wait to see it all quilted up!